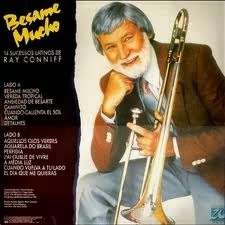 Ray Conniff was an American musician, arranger and bandleader who enjoyed immense success in the 50s and 60s. This week we have one of his compositions "Bésame Mucho" (Kiss me a lot) is a song written in 1940 by Mexican songwriter Consuelo Velázquez. This selection is from the album "Say It with Music (A Touch of Latin)" released in 1960.